The prospect of searching for a loan when you have bad credit can cause people a lot of anxiety. You may think that because of your poor credit history, no bank would ever lend you the money you need to own your own home, so why even apply? What if I told you that regardless of your credit history, many lenders are willing to loan YOU money? Fill Out The Form Below To Get Help Today! Don’t waste another moment allowing your credit score to keep you away from the magical feeling of homeownership. Finding a lender to give you a loan with a low credit score is our speciality, however you’re going to run into some issues that it’s important to know about ahead of time. The difference of even a few points could have major implications for the amount of money you can save on a mortgage over the course of thirty years. This is why it is highly encouraged that you educate yourself on your credit score. In the long run, a higher credit score could save you thousands of dollars. It’s no secret that your credit score is extremely important to lenders who consider issuing you some sort of home loan. Your creditworthiness gives the lender some security in knowing that you are likely to pay back your home loan in full. A low credit score could indicate that you’re more likely to default on your mortgage. To make up for the risk, many lenders will offer potential home buyers the opportunity to come up with compensating factors. The most common compensating factor is the down payment. Traditionally, lenders have required a twenty percent down payment for conventional mortgage programs. If you were to look at the numbers, this means that you would need $20,000 for a $100,000 home. The percentage required is a way for the lender to ensure that they have some security if borrowers go into default on their bad credit home loans. When the home moves into foreclosure, the bank can rest assured that they will recoup a significant portion of their money as a result of this handsome down payment. If you have a low credit score, lenders may require a larger down payment upfront to minimize their overall risk. This compensating factor will apply to conventional mortgage loans, as well as FHA loans for bad credit, VA loans, and other types of home loan products. How much should you plan to put down if you’re a first-time buyer with bad credit? Unfortunately, there isn’t a one-size-fits-all answer when it comes to a down payment that would make up for poor credit. The idea is simply that you will have more equity in the home, which is better for the financial institution who is loaning you the money. You should plan to have a pretty sizeable down payment when it comes to bad credit home loans though. In addition to a larger down payment, lenders may require mortgage insurance for a first-time buyer with bad credit or any other type of bad credit home loans. This type of insurance is sometimes referred to as PMI (private mortgage insurance), and its primary purpose is to protect the lender. Mortgage insurance is typically required on all conventional home loans that have a down payment lower than twenty percent. It lowers the overall risk to a lender, but it also increases the monthly cost of your home. The average rate for private mortgage insurance varies based on the overall loan amount. Typically, the cost will range anywhere from 0.3 percent to 1.5 percent of the home’s total cost each year. How does that translate into real-world numbers? If you purchased a home at the national average price of $203,000, your mortgage insurance could cost anywhere from $609 to $3,045 annually ($50.75 to $253.75 per month). This is a significant cost that could put some homes well outside the realm of what is affordable for prospective buyers. In some circumstances, you may be able to get the private mortgage insurance removed once enough equity is built up in the home. The details in your mortgage may vary, but some financial institutions will allow homeowners to request the cancellation of PMI when they have the equivalent of a twenty percent down payment invested into the house. Some programs, like the FHA loans for bad credit and others for a first-time buyer with bad credit, may require mortgage insurance for the duration of the loan. While this is a significant monthly cost, it does allow you to own your very own home instead of continuing to rent. Do you ever wonder exactly what your lender is talking about when they start mentioning your credit score? Even a rent to own for bad credit may reference this elusive number, but few people truly understand what it means or where it comes from. Before you can do any work on your credit score, you have to know what this all-important number means and how it’s calculated. How Do They Come Up with Credit Scores? A credit score is the best way lenders can judge your overall financial health. It includes a comprehensive glance at every crucial area that affects your long-term finances. Each of these categories is weighed slightly differently when it comes to calculating your overall credit score. You can see the exact representation of the usual percentages in the parentheses that follow. However, these numbers could vary slightly depending on your exact credit history. For example, first-time buyers with bad credit may not have a long credit history which will shift the overall weight of each category significantly. It should be noted that your credit score is much different than the more simplistic credit report. You’re entitled to a free credit report from each of the three major credit reporting bureaus each year (Equifax, Transunion, and Experian). These reports are designed to detail your actual payment history including any times where you were late on payments or missed them all together. In comparison, your credit score takes this information into account but balances it with other key details. It’s an easy way for lenders to rank your financial health compared to other consumers who are also applying for a conventional mortgage or bad credit home loans. The information contained within your credit report is a determining factor for calculating your overall credit score. You may discover that you have multiple credit scores and that each one is slightly different. This is because each credit reporting agency could have different information regarding your history. Lenders make a decision on your creditworthiness based on the final number assigned to your financial history. 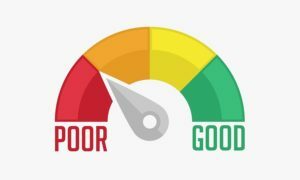 The credit score rating scale typically runs from 300 points to 850 points, though you may see some variation depending on the specific scale used. No matter what, a higher number represents a better credit score. To determine how a lender would rate your credit score, you can see which of these brackets you fall into. These are the general guidelines that many financial institutions will use to determine the rates associated with your mortgage or any type of bad credit home loans. A higher credit score comes with more favorable terms and products available for consumers. On the other hand, a lower credit score (like those seen for bad credit home loans) tends to warrant higher fees and interest rates for prospective home buyers. When your credit score dips below the average mark of 620, many lenders become hesitant to issue a conventional mortgage product. They may require higher down payments and mortgage insurance, or you may face higher interest rates to help protect the bank’s initial investment. FHA loans for bad credit are difficult to find for individuals who have a credit score below 620. The difference of even a few points could have major implications for the amount of money you can save on a mortgage over the course of thirty years. This is why it is highly encouraged that you educate yourself on your credit score. In the long run, a higher credit score could save you thousands of dollars. A debt-to-income ratio (sometimes denoted as DTI) is another key measure used by lenders to determine the details of a loan product. This number is an indicator that compares your overall debt to the amount of income you have each month. Lenders are ultimately searching for individuals who have a lower ratio because it demonstrates a great balance and means you are more likely to pay bills in a timely manner. How do you calculate your debt-to-income ratio? The calculation is actually quite simple if you have a good handle on your monthly bills and debt. Grab a calculator and a stack of your monthly bills to tally up the total amount of recurring monthly debts you have (including student loans, auto loans, credit card debt, and any other money you have borrowed). Divide this number by your gross monthly income and multiply the answer by one hundred. This gives you an overall percentage that tells you how much of your available income is used to pay down your debt on a monthly basis. Altogether, you pay approximately $950 per month to cover the cost of money you borrowed in the past. Suppose that your gross monthly income is $3,500 dollars. When you divide $950 by $3,500 and multiply by 100, you will find a debt-to-income ratio of roughly 27 percent. What is Bad Debt-to-Income Ratio? Once you know what your debt-to-income ratio actually is, it’s reasonable to wonder what percentage is considered “bad” by lenders. This is an important factor for obtaining a mortgage for a first-time buyer with bad credit or any type of bad credit home loans. After all, studies have shown that individuals who have a higher ratio are more likely to struggle with paying their monthly bills. Most lenders will search for borrowers with a DTI of less than 43 percent. This debt-to-income ratio can be calculated both with and without the new mortgage you’re applying for. If it includes your preexisting debt along with the prospective bad credit home loans, lenders typically want to see a ratio under 45 percent. They may be inclined to still issue a loan if there are compensating factors. Lenders must ensure that you will still have enough money left at the end of the month to cover everyday incidentals that are not factored into this ratio. These can include your utilities, phone bill, internet bill, groceries, and gas for your car. Without money left over, you won’t be able to cover these costs and are likely to default on at least one of your other payments. You’ve done the research and you already know that you have poor credit. Perhaps you filed for bankruptcy in the past or you had a home move into foreclosure. Besides working on improving your credit history, you still have plenty of options for bad credit mortgage loans. In particular, you should look into government programs to determine if you meet the requirements. FHA Loans: These home loans are best for individuals who want an extremely low down payment but don’t mind paying mortgage insurance for the duration of the loan. VA Loans: VA loans come with no down payment and low interest rates, but you must be a veteran in order to qualify. USDA Loans: These bad credit mortgage loans are ideal for those who want to purchase a home in a rural area with little to no down payment, but they will require a slightly higher credit score. The FHA loans for bad credit are guaranteed in part by the Federal Housing Administration. 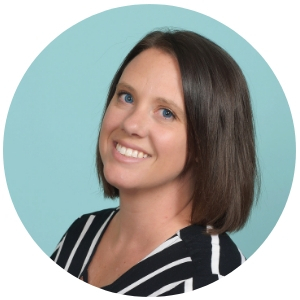 The program is designed to make lenders feel more secure issuing loans to individuals who have bad credit, first-time home buyers, and other individuals who don’t usually qualify for typical mortgage products. If you default on the loan, the federal government will help to cover the cost of the default for your private lender. These bad credit home loans all have one very prominent advantage that first-time buyers with bad credit should take note of. A low down payment is fairly universal on FHA loans for bad credit. This one attribute is what makes many first-time buyers with bad credit flock to this specific government program. You may pay as little as 3.5 percent in a down payment with a FICO credit score of 580 or higher. If you can find a lender willing to issue FHA loans for bad credit, individuals with lower credit scores may still be able to qualify with a slightly larger down payment. Lower credit scores often require a ten percent down payment. This lower down payment offers an excellent opportunity for individuals and homeowners to save money. Determining how much you can save is a little tricky, so we’ll take a look at some real numbers. The average sale price for a home in the United States is approximately $200,000. A conventional mortgage product would require a $40,000 down payment. By comparison, a 3.5 percent down payment would equate to $7,000, and a ten percent down payment would equal $20,000. 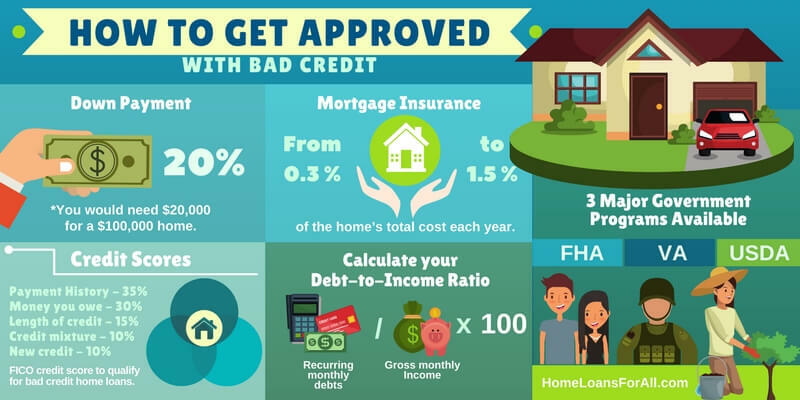 Homeowners could save up to $33,000 in this scenario by choosing to go with FHA loans for bad credit. Saving up for the down payment on a new home is often the most time-consuming part of the process for prospective buyers. It can take years to scrape together enough savings to withdraw $40,000 from your bank account. By comparison, the FHA loans for bad credit make the initial requirements significantly more accessible. Many lenders utilize the same general guidelines to qualify prospective buyers for these bad credit mortgage loans. However, you should keep in mind that the specific requirements may vary slightly depending on the lender. Besides a down payment that ranges from 3.5 to 10 percent based on your credit score, you must also meet these requirements. You must meet certain debt-to-income ratio numbers in order to qualify under most of the FHA loans for bad credit. Your front-end debt-to-income ratio (mortgage payment, insurance, property taxes, and private mortgage insurance) should equal 31 percent of your gross monthly income. Depending on the circumstances, lenders may approve a loan for applicants who have a front-end DTI of up to 40 percent if you have some compensating factors. Your back-end ratio (all monthly debt payments plus the cost of the new mortgage) should be 43 percent or less of your total monthly income. Similar to your front-end DTI, some lenders will approve higher back-end ratios of up to fifty percent with compensating factors. Most lenders will require a credit score of 500 or higher to qualify you for FHA loans for bad credit. However, this is actually determined on a case-by-case basis by each individual lender that offers FHA loans for bad credit. They will weigh your credit history and any potential bankruptcies or foreclosures to determine if there were extenuating circumstances beyond your control. In order to receive the maximum amount of financing, you must have a credit score of 580 or higher. Lower credit scores in the 500 to 579 range will usually require a ten percent down payment at minimum. Unlike some conventional products, you can accept a monetary gift from a family member to cover the initial down payment. If the home cannot meet standards that would imply that is good for your health and safety, these FHA loans for bad credit would be derailed indefinitely. The home must also be used as your primary residence. It should be noted that FHA loans for bad credit will require private mortgage insurance throughout the duration of the loan, particularly if you had a down payment lower than ten percent. This can add up to a significant cost over the thirty-year duration of most FHA loans for bad credit. A $200,000 home could require annual mortgage insurance ranging from $600 to $3,000. At this rate, you would be paying an additional $18,000 to $90,000 over the course of a thirty-year mortgage. Homeowners who put down ten percent or more may qualify to remove their mortgage insurance after eleven years. Many first-time buyers with bad credit may want to consider increasing their savings in order to qualify for this significant advantage. The FHA program is a great option for individuals who need bad credit mortgage loans. The low down payment can make homeownership a more immediate reality despite the need for mortgage insurance each month. A VA loan is another unique option available through private lenders that features government backing. A portion of each mortgage is guaranteed by the Department of Veterans Affairs for eligible individuals. Much like the FHA loans for bad credit, lenders are more apt to consider applicants who wouldn’t qualify for a more traditional loan program. The federal government will insure a specific portion of the loan (usually up to $36,000) for eligible service members if the buyer defaults on the loan. There are significant advantages that come with a VA loan, even those issued as bad credit home loans for eligible individuals and families. Perhaps the most significant perk of this program is that lenders may not require any down payment at all. Private mortgage insurance premiums are also waived for these bad credit home loans. 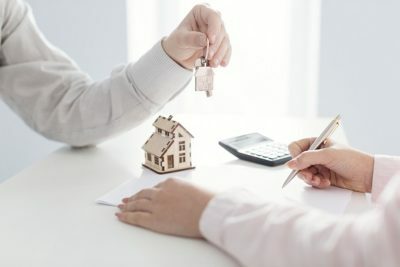 Simple advantages of these loan programs can save prospective buyers thousands of dollars over the course of their loan term. This is what makes them ideal as bad credit mortgage loans for those who qualify. Are you able to qualify for these favorable home loans? Fewer individuals qualify for this program because you must meet specific guidelines regarding service in the armed forces. You can find out more about the specific requirements below. VA loans are great for individuals who have bad credit. The federal government doesn’t specify a minimum credit score in order to back the loan with a private lender. Instead, they encourage lenders to take a closer look at each application and consider your information on a case-by-case basis. You could qualify even if you’re a first-time buyer with bad credit or no credit. Each lender may set out their own credit score criteria to issue loans to prospective buyers. The standard benchmark for many lenders is a credit score of 620, but there are plenty of options for individuals with lower credit scores as well. Lenders are more likely to take a risk on less-qualified applicants because of the backing of the federal government. The government has no specific credit requirements, which means they will insure a portion of the loan as long as you find a lender who will work with you. If you face rejection at one financial institution for these bad credit home loans, don’t give up. You can always apply elsewhere with another opportunity for success. A VA loan is a great option for individuals and families who need bad credit home loans, but you must meet a stringent set of criteria to qualify. Lenders will require you to obtain a Certificate of Eligibility based on the amount of time you were enlisted in a branch of the armed forces. Depending on the time period and the number of years you spent in service, these requirements can be challenging to calculate. For more information regarding the criteria to qualify for a certificate of eligibility, you can check the service requirements here. Do you dream of owning a home in the country? If so, a USDA home loan may help you to make your dreams into a reality. These home loans are backed by the United States Department of Agriculture to encourage homeowners to purchase properties in eligible rural and suburban areas. Similar to the VA loans and FHA loans for bad credit, the USDA sometimes backs a portion of the loan. In turn, private lenders are more likely to grant approval for loans to prospective buyers who don’t meet their standard criteria. Unlike the FHA loans for bad credit, you may qualify for a direct loan from the Department of Agriculture directly. Applicants who receive this type of direct loan typically have very low to low monthly incomes, though the specific requirements will vary based on your location. One of the best features of a USDA loan is the major savings it can entail for prospective buyers. Many eligible properties may allow you to make a purchase without a down payment or with a very minimal down payment, depending on the specifics of your loan. Unfortunately, USDA loans do require a slightly higher credit score than the FHA loans for bad credit. Many lenders will want to see a standard 640 credit score or higher in order to receive more streamlined processing of your loan. That doesn’t necessarily mean that you won’t receive funding under this program though. Applicants who have a credit score under the 580 mark may still be able to receive one of these mortgages. Candidates who have a higher credit score are usually subject to automated underwriting, but it isn’t the only option. A lower credit score simply means that you will have to go through manual underwriting to determine if you are eligible to receive one of these bad credit home loans. During manual underwriting, an actual person will review the details located in your credit history and application. While this can slow down the overall process, you may find that it works out in your favor. Your personal information has the attention of a real person who can take extenuating circumstances into consideration. This also means that your approval will be highly subjective. Where one lender may agree that you should qualify, another may still turn down your application for bad credit home loans. Don’t be discouraged by these discrepancies. Instead, you will need to continue to try at other financial institutions who may be inclined to take a greater risk. If you have a lower credit score, your underwriter is likely to take a look at other compensating factors to determine your eligibility. Many homeowners may be required to come up with simple items such as a larger down payment that could lower the overall monthly cost of your mortgage. In other instances, they may look at what cash reserves you will have left following your official closing ceremony. Lenders want to see several months’ worth of mortgage payments remaining in your bank account. To a lender, this means that they are guaranteed a greater chance of receiving your monthly mortgage payment even if you have some extenuating circumstances or unexpected bills that month. They may also consider whether you are guaranteed to receive a promotion or raise in the near future. When monthly income is expected to increase, it can dramatically alter your debt-to-income ratio and make you a more appealing applicant. A manual underwriter will also consider what you are currently paying your rent or mortgage in comparison to the home you want to purchase with a USDA loan. Monthly payments that will remain relatively stable will demonstrate that you can handle the financial burden this new mortgage could impose. In order to determine if you can responsibly handle the change, they will look at your credit history and measure how many rent or mortgage payments you have issued on time. 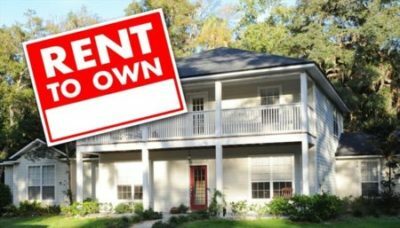 A rent to own for bad credit is an appealing option for many prospective buyers who may not qualify for a mortgage in the present moment. They can move into a home right now while they make changes that improve their overall credit score. First-time buyers with bad credit who are eager to make a house into a home may want to investigate one of these options for rent to own with bad credit. Many home buyers are wondering how this rent to own situation works. In order to give you the best idea of what a rent to own with bad credit will really look like, we’re going to consider it with some real-world numbers. You will start looking around for homes that are offered under this category. You may be able to find them through a local real estate agent, the newspaper, or via online listings. The monthly cost is usually comparable to what you would pay in rent or for a new mortgage, but some of this rent actually goes toward the purchase price of the home. Let’s suppose that the home you find is worth the same as an average home price in the United States at approximately $200,000. This means that your rent payment could be in a range of $1,200 to $1,800 per month, depending on the area you live in and what is included in your rent. Of this monthly rent payment, a small portion will be set aside to go toward the purchase price of the home. This will vary based on your specific contract, but it may be $200 to $400 per month. In addition to your monthly rent payment, a rent to own for bad credit usually requires an option fee. This means that you will have the option of purchasing the home once the contract is over in a few years. Similar to a down payment, this option fee will usually be several thousand dollars and represent a significant portion of the purchase price of the home. Obviously, there are several advantages to selecting a rent to own for bad credit scenarios. 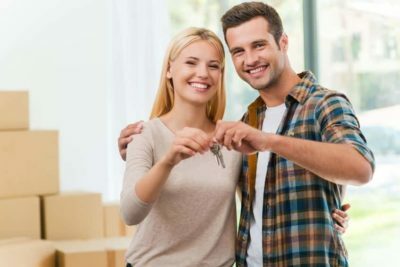 The most attractive option for this type of purchase is that you can move into the home immediately instead of waiting several years to qualify for a mortgage. During the time you live there, you can dedicate yourself to polishing your credit score to qualify for a loan or more favorable terms. The other major benefit of a rent to own for bad credit is that a portion of your rent is set aside toward the purchase price of your home. This is a guaranteed amount each month that doesn’t vary based on the amount of discretionary income you have left at the end of the month. It can help to lower the purchase price of the home because it is a sort of forced savings account for individuals who rent to own with bad credit. Because the housing market is constantly changing, a rent to own for bad credit allows you to lock in the price based on the current market value. If economic indicators are showing that the housing market is likely to increase over the coming years, it can be a great time to lock in an excellent price. Along with all of the advantages of a rent to own for bad credit, you may still find a few drawbacks. The most obvious disadvantage to this scenario is the large upfront option fee to purchase the home in years to come. Similar to saving up for a large down payment, it can take first-time buyers with bad credit some time to scrape up the money required. There is also bound to be some uncertainty over whether you will actually qualify for a mortgage when the agreement is up. If you have extremely poor credit, there’s a possibility that you won’t be able to pull the score up in time to qualify for a mortgage. If you do decide to move forward with the rent to own for bad credit and qualify for a mortgage, there’s a possibility you could face higher interest rates. The market rates are constantly fluctuating, so it can be difficult to predict where the rates will be in five years or so. This is an inherent risk to signing the contract for a rent to own property. Perhaps the most significant concern for individuals considering a rent to own for bad credit is the possibility of foreclosure. If the owner of the home defaults on the current mortgage, you could still be forced to leave. If this happens, you could lose all of the money you put down for the upfront options fee and the money set aside on a monthly basis. Similarly, you will lose all of this money if you decide to terminate the contract with the owner. You may realize that this isn’t the right home for you after you move in or you may decide that isn’t as affordable as you once thought. No matter what the reason, contract termination of a rent to own for bad credit will cost you a pretty penny. When you look for a rent to own with bad credit, you still need to ensure that you are looking for the right type of property for your needs. The most important thing to search for is a home that you know you can afford long-term. If you exercise your right to purchase a rent to own for bad credit, you will need to make the mortgage payment on time each month. An affordable home may be the most important consideration a prospective buyer can truly look for. However, you should also verify that the property is completely free and clear of any liens. In the event that the owner doesn’t always make timely payments, another company may have placed a lien against the home. This can be a headache when it comes time to transfer the property from your lease to a new mortgage. Prospective buyers for a rent to own with bad credit need to have a clear contract with the owner of the property. It should spell out all financial responsibilities of both parties, your specific option to purchase at the end of the lease, and the parameters of your payments. Don’t get too excited about a specific rent to own for bad credit until you have a home inspection conducted on the property. This can help you to identify any major structural issues and give you the right to begin negotiating the property price based on those necessary repairs. An inspection will also give you some information to help determine whether this particular rent to own for bad credit is priced at fair market value. If your credit isn’t good enough to qualify for a mortgage on your own, a cosigner may be able to give you a much-needed boost. Your cosigner doesn’t have to actually reside in the property in order to help you qualify for a new mortgage. However, they are placing their credit on the line for your mortgage. A potential lender will pull the credit for both the occupant and the cosigner. Your cosigner’s name and credit score become tied to the mortgage, for better or worse. Late or missed payments will show up as a blemish on the cosigner’s credit report. Additionally, they may be on the hook for making payments if you miss them. The stipulations on cosigning will vary based on the specific type of mortgage you apply for. We will take a closer look at two of the more common bad credit home loans. If you are applying for a conventional mortgage with a cosigner, both of your credit scores will be assessed to determine eligibility. Debt-to-income ratios will vary based on both your number and your cosigner’s number. For example, the person who will physically occupy the property may have a debt-to-income ratio of up to 70 percent. The cosigner’s required debt-to-income ratio will vary. A conventional mortgage with a cosigner will require the cosigner to sign the actual loan itself, but their name does not need to be on the title. The major difference between a conventional mortgage and an FHA loan for bad credit with a cosigner is the property title. Your cosigner will be on both the loan and the title of the property. You may have up to two non-occupying cosigners on the loan itself. The credit scores of both the applicant and the cosigners will still be pulled for FHA loans for bad credit. The maximum debt-to-income ratio will be very similar to that required for a conventional mortgage in this scenario. There are also specific requirements regarding who can become a cosigner on FHA loans with bad credit. All potential cosigners must be either relatives or close friends. The friendship must be documented to prove a lengthy relationship and the reason why they may be interested in helping you qualify for a mortgage. Are you a first-time buyer with bad credit? If you’ve never owned a home before, there are many programs designed specifically for you. FHA loans are one of the best options on the mortgage market to assist first-time buyers with bad credit when it comes to the purchase of a new home. Because the federal government is willing to insure a portion of your home loan, lenders are more likely to take a risk on first-time buyers who don’t have a proven record of success. They may be more apt to grant loans to consumers who have low credit scores or no credit at all. Most FHA loans for bad credit will require a credit score of 580 or higher, but some lenders are willing to look beyond the numbers. A higher credit score will typically give you more benefits, such as a lower down payment of 3.5 percent. However, lenders will often allow for compensating factors if you have poor credit. A down payment has been used historically to give lenders some peace of mind in case you default on the loan. 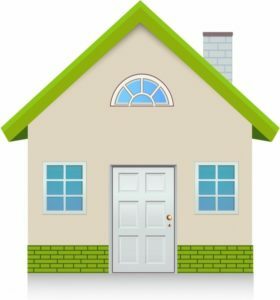 With some small amount of equity in the property, they have some guarantee that they will be able to regain a portion of their investment if the home moves into foreclosure. If you have a lower credit score, the risk of defaulting on the loan is much greater and many lenders may be hesitant to take the risk. FHA loans for bad credit are usually selected because they feature an extremely small down payment amount of just 3.5 percent of the purchase price. However, individuals with lower credit scores or first-time buyers with bad credit may face a higher required down payment. Scores less than 580 will warrant a 10 percent down payment on your new home. Even though this will be the minimum requirement, a higher down payment will continue to weigh in your favor. The more money you can save up to place down on a new home, the more likely a lender will be to issue a loan to first-time buyers with bad credit or no credit at all. As important as your down payment is, your savings account could be equally significant. Lenders don’t want to see you empty out your entire nest egg in order to meet the minimum requirements for a down payment. An underwriter will also be taking a look at your savings account to ensure that you have money in reserve after the closing is over. Your cash reserves are kind of like a safety net for lenders. Particularly if you have a higher debt-to-income ratio, one unexpected bill for the month could mean the difference between paying your mortgage and missing it. Car repairs, an exorbitant cell phone bill, or a medical emergency can all pop up at a moment’s notice. If you have money in your savings account, you’re more likely to continue making the mortgage payments. Many lenders prefer to see approximately six months’ worth of expenses in your savings account to make up for a lower credit score. First-time buyers with bad credit should aim to have this type of emergency fund built up prior to applying for a new mortgage. Do you have poor credit but a high income? This could be another real compensating factor that will make you more attractive to a potential lender. A higher income can make your debt-to-income ratio appear much smaller and give you more wiggle room when it comes to making your monthly payments. 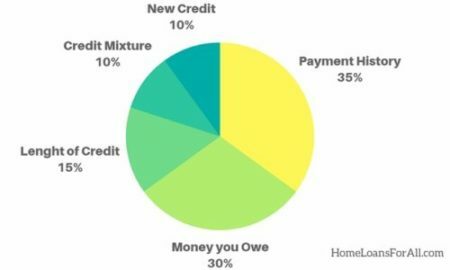 First-time buyers with bad credit may want to consider what percentage of their income a new mortgage will require. The smaller that percentage is, the more likely a lender will be to issue you a home loan based on your gross monthly income. A higher income can also make it easier to meet some of the other compensating factors such as a higher down payment or a large savings account. Both of these savings types will accrue much faster and make you a more appealing candidate, even if you happen to fall into the category of first-time buyers with bad credit. No lender wants to issue a loan to someone who has a very spotty history of keeping a job. Stable and steady employment is a huge factor in determining whether you are eligible for any of the loans available to first-time buyers with bad credit. Lenders are certain to look at several years’ worth of your employment history and may even check your references. Ideally, they would prefer to see you work with the same employer for a minimum of two years. They may make some exceptions if you transfer to a different company but maintain the same position. Similarly, they may take extenuating circumstances into account if you were let go due to internal struggles within the company. Be sure that you have a long history of showing up to work diligently at your scheduled times in order to qualify based on this compensating factor. Many individuals believe they may never be able to own real estate again after declaring bankruptcy. You may have faced some rocky financial times in the past, particularly in an economic downturn. However, you may still have a chance at homeownership based on guidelines established to help prospective buyers qualify following a bankruptcy. These “second chance home loans” have their own qualifications and eligibility criteria. 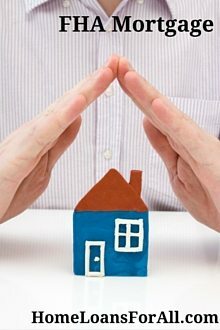 To accommodate the unique circumstances that individuals who filed for bankruptcy may face, all mortgage products now offer specific waiting periods. These waiting periods give you time to rebuild your credit and establish yourself financially once more. If you faced an extenuating circumstance that resulted in loss of income outside of your control, you may qualify for a new mortgage even sooner. Both conventional mortgages and FHA loans for bad credit will issue these exceptions. A conventional mortgage only requires a two-year waiting period and an FHA loan requires only a one-year waiting period in this situation. When you experience a loss of income, it can be extremely challenging to make ends meet on a monthly basis. Many homes will move into foreclosure to help lower monthly costs, but that may not be enough to cover the cost of your mortgage. Eventually, your lender will want to seek payment for the remainder of the balance on your mortgage. Let’s suppose that you still owe $100,000 on the home your purchased ten years ago. You suddenly lost your job, and the bank moved the home into foreclosure. At auction, the home may have only sold for $75,000. Unfortunately, your lender still isn’t happy with this $25,000 discrepancy in the price difference. Depending on your state laws, a lender may be able to file this $25,000 as a deficiency which you will still owe. Many individuals are unable to cover the cost of the deficiency, so they file for bankruptcy to erase the debt. In other scenarios, a family may file for bankruptcy before the home moves into foreclosure. Losing the home may be a part of the bankruptcy process. The order in which these processes occur could determine how long you have to wait before you consider homeownership again in the future. If the foreclosure of your previous home happened before you filed for bankruptcy, the waiting period will begin from the bankruptcy date. If the foreclosure of the home happened after the bankruptcy date, you may face different waiting periods. For example, FHA loans for bad credit will then require a three-year waiting period. Conventional mortgages will still allow you to base the waiting period on the bankruptcy discharge date. What Can You Do During the Waiting Period? If you’re trapped in one of these lengthy waiting periods, you don’t necessarily have to sit idly and wait for the days to pass. You will have a better chance of receiving a mortgage in the future if you are able to take some steps toward actively rebuilding your credit. It will take a lot of hard work and commitment, but it is possible to create a good credit score after bankruptcy. The best thing you can do is open credit accounts and then consistently pay the bill each month. A credit card with a lower maximum is a great way to practice borrowing money and repaying it responsibly each month. Keep in mind that lenders prefer to see you use the credit limit responsibly. Most experts recommend keeping your spending to thirty percent or less of the available credit limit. You should also make an effort to pay all of your bills in a timely manner. This can include your cell phone bill, automobile loans or student loans, car insurance, or cable. While they may not ultimately report these items to the credit bureau, some lenders will consider alternative forms of credit when you apply for a mortgage. The goal during the waiting period is to establish healthy financial habits that demonstrate your creditworthiness. Make yourself a calendar that shows which bills are due on specific days so you never miss a payment. Improving your credit score is necessary if you want to receive a new mortgage or find more favorable terms. You’ll find benefits that far surpass just the ability to purchase a new home. Student loans, auto loans, and credit card companies are all more likely to issue you a credit limit if you can improve your credit score. Unfortunately, many individuals assume that improving their credit score is too challenging. It does take time to undo the damage your wreaked on your credit, but it isn’t an impossible feat. All you need to do is change a handful of your financial habits to demonstrate to lenders that you can be trusted to pay back your loan. This is perhaps one of the easiest ways to automatically boost your credit score. Individuals who have a long history of paying their debts each month in a timely manner typically have much higher credit scores than those who don’t. While this may seem extremely difficult, you should bear in mind that advances in technology make paying on time easier than ever. The simplest way to ensure your bills get paid each month is to sign up for auto-pay. Most companies offer an auto-draft feature through their online payment portal. Signing up and offering your bank account information is a quick and easy way to make sure you never forget a specific payment again. If some of your bills don’t have this feature, you may want to consider setting an alarm on your phone. Make sure that it is set to recur monthly so that you never miss another payment. Another simple way to improve your overall credit score is to reduce or eliminate some of your debt. Reducing your debt makes you a more attractive prospect to lenders because it lowers your debt-to-income ratio. A lower ratio makes you less of a risk to lenders and allows you to qualify for a better mortgage. Many people with poor credit will have several open credit cards, each with a varying balance. You may have a handful of cards with relatively low balances and only a couple with higher minimum monthly payments. One of the best ways to clean up your credit score is to pay off some of the cards with lower balances. This simple maneuver has two benefits. First, it helps to clear some of the outstanding accounts that are generated by your credit report. Second, it frees up some money each month for you to put toward your larger debts. Keeping some debt on your credit report isn’t necessarily a bad thing, but you don’t want to max out all of your available credit accounts. Most financial experts recommend utilizing about 30 percent of your available credit limit on a regular basis. This should make it relatively easy for you to pay off your balance each month and help you to qualify for something better than bad credit home loans. 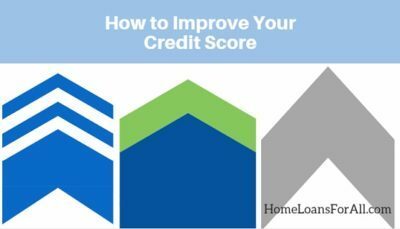 Please take a moment to read our article on how to get credit scores for the best mortgage rates. Your credit score is a significant factor for lenders to consider when issuing a new mortgage. However, poor credit doesn’t necessarily exclude you from the prospect of purchasing your own home. Bad credit home loans are fairly plentiful, if you know where to look. Unfortunately, bad credit home loans don’t always offer the most favorable terms. It’s important to start taking some proactive steps to improve your credit now so you can qualify for better loan products in the future. One of the simplest things you can do for your credit right now is to find out where you stand. Ask for a copy of your credit report from one of the three credit-reporting agencies. Every consumer is entitled to a free report each year. Knowing your credit score and history can help you to make wise decisions to improve that number in the years ahead. Be sure you take time to review the credit report carefully, as there are sometimes errors. If you spot an error that could be blemishing your credit, contact the credit-reporting agency and the source of the error. You may be able to resolve the issue quickly and ultimately improve your credit score. Investigate the possibility of qualifying for one of the government programs such as an FHA loan for bad credit. They come with significant advantages that a conventional mortgage product has a difficult time competing with. In particular, they often feature extremely low down payments which can make home ownership a more immediate reality for most individuals. Also, be aware of possible scams and know your rights when looking at possible credit repair programs. Don’t forget that continuing to pay down your debt can also offer a huge boost to your potential to qualify for a new mortgage. Reducing your debt-to-income ratio does make you much more attractive to lenders and lowers the risk of defaulting on bad credit home loans. Ultimately, there are plenty of steps you can take to start improving the odds of qualifying for bad credit home loans today. You can start by contacting some of the local mortgage companies in your area to see whether you might meet the criteria for one of these government programs or some other type of bad credit home loan today. Are bad credit home loans guaranteed? While they are not guaranteed, we do work with homeowners who have low credit score to help them find the perfect loan program. Bad credit mortgage loans such as the FHA loan, VA loan, and USDA loan are all available for individuals who can qualify. Can I get a home loan with a credit score under 550? Yes, you can qualify for bad credit home loans with a credit score under 550. Each lender will have their own benchmarks and criteria for potential applicants, but a lower credit score will often require more compensating factors. These can include a long history of steady employment, high income, or a larger down payment from your savings account. Can I get a USDA loan with bad credit? 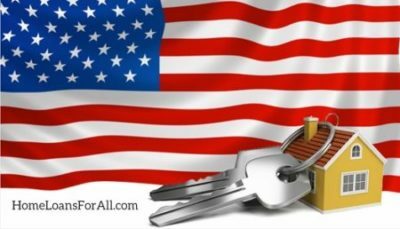 Can I get a home loan after a bankruptcy? You must demonstrate that you have moved on from this financial hardship, established positive payment history for the past twelve months, and are currently financially stable. How fast can I raise my credit score? Improving your credit can take time because you must build a history of responsible payments and responsible money management. Work on diligently paying your monthly bills on time each month and reducing some of your overall debt. These two major steps can help you to achieve a lower credit score in time. What is the HOPE program? Can I get a home loan with bad credit and no down payment? Yes, you can secure bad credit home loans with no down payment. 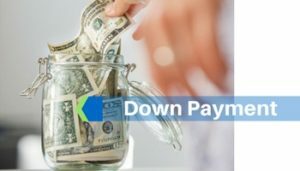 Many programs will require some type of down payment to grant security to the lender, but government programs like the USDA home loan or VA loan do not require a down payment. 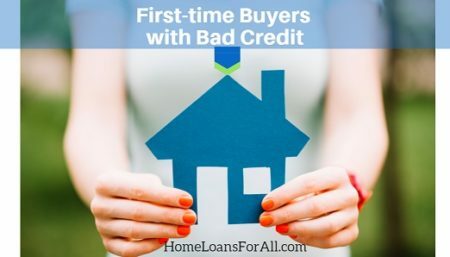 Can I get a first time home buyers loan with bad credit? Yes, first-time buyers with bad credit can still qualify for a mortgage. Lenders may be more hesitant to issue these loans unless there are clear compensating factors like a larger down payment or a higher interest rate. You may also qualify for programs like the FHA loans for bad credit. These programs are designed to help first-time buyers with bad credit to receive a mortgage with a low down payment. Where can I find affordable credit counceling? The United States government has a website with a ton of helpful information on low cost or free credit counseling.